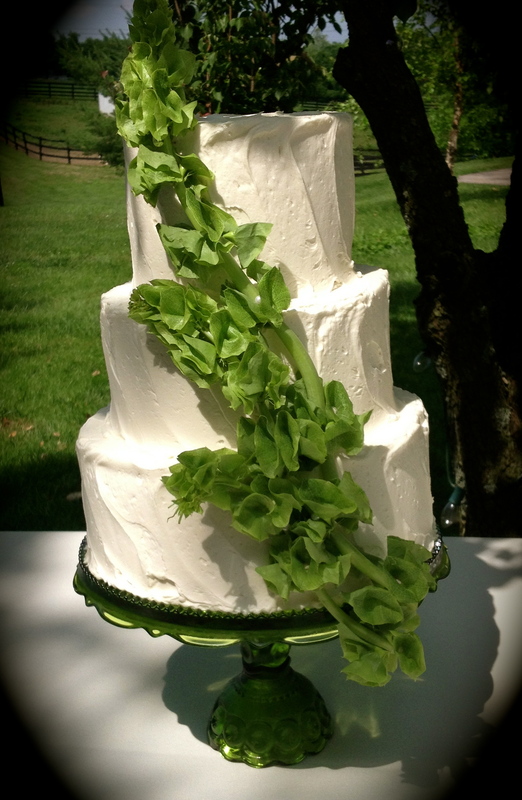 This buttercream white on white wedding cake was created for a wedding at 4 Points Sheraton in Lexington, KY. 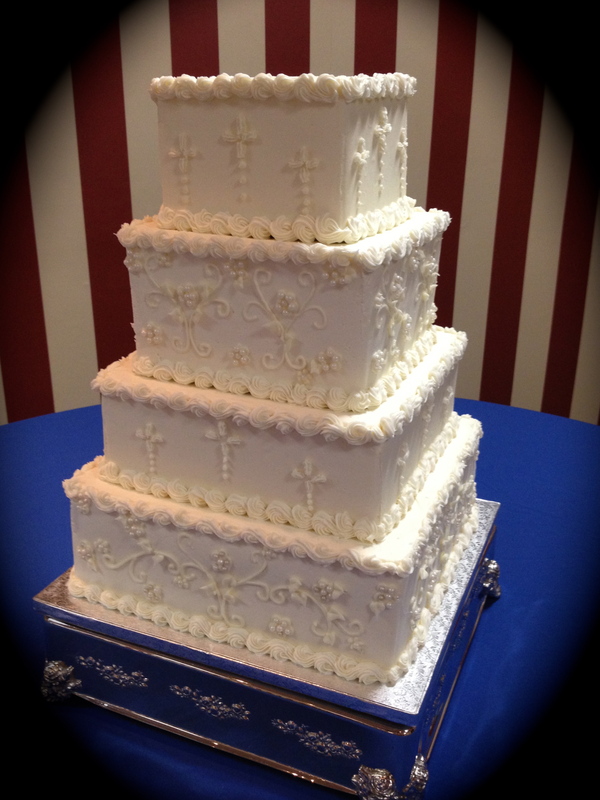 The cake was decorated to resemble the bride’s lace pattern on her wedding dress. 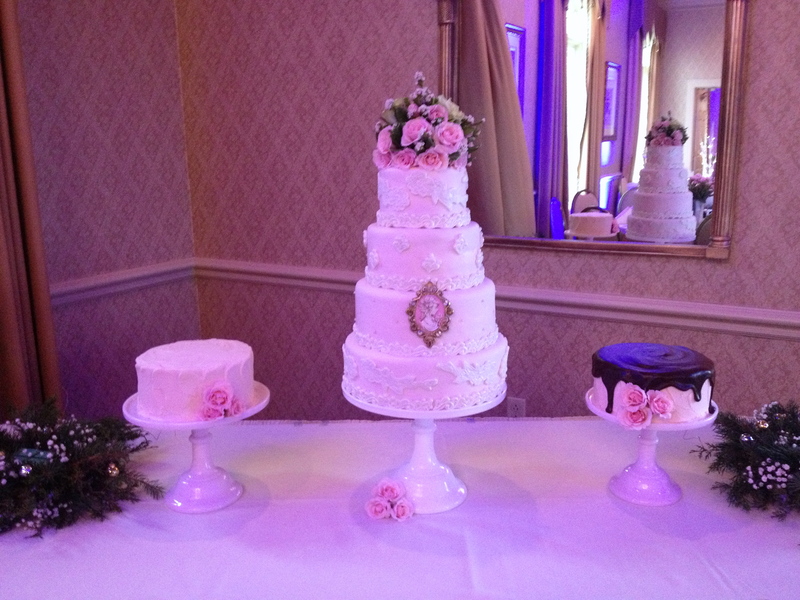 The cake flavors were butter cake with a cookie butter buttercream filling, creme brûlée cake and filling, and almond. 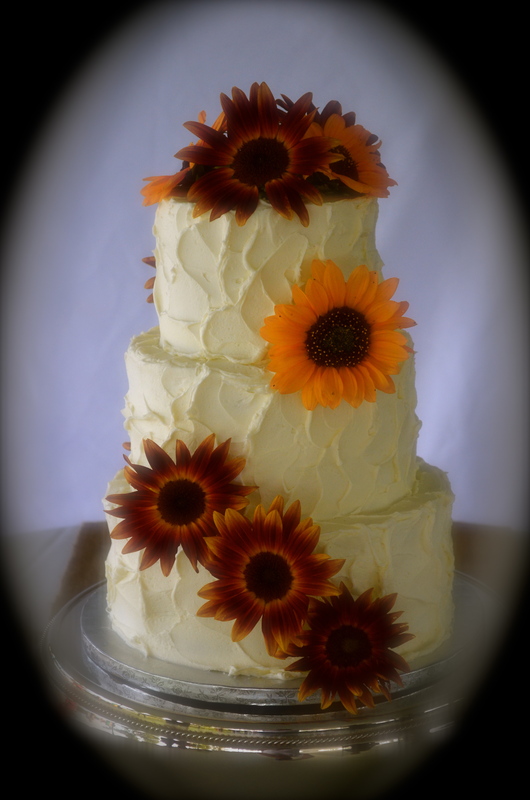 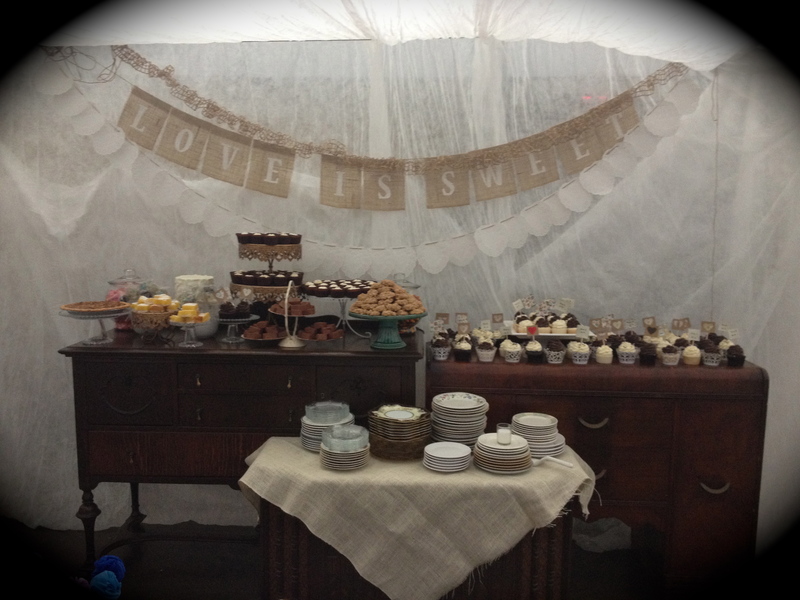 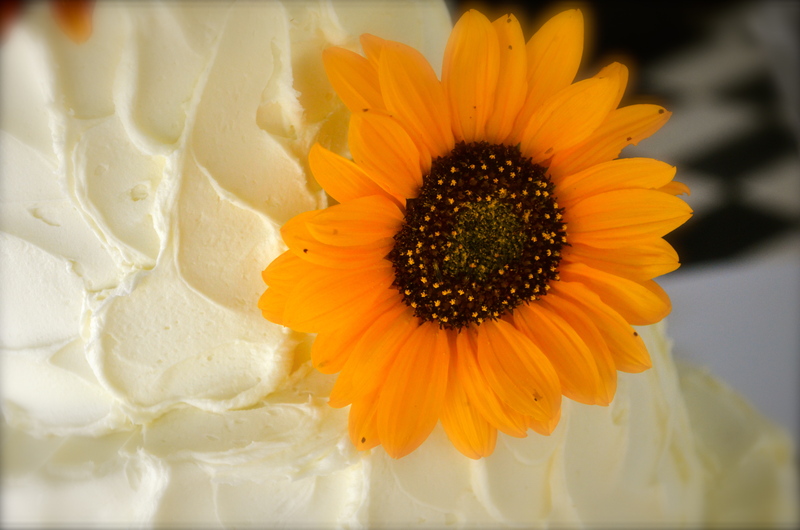 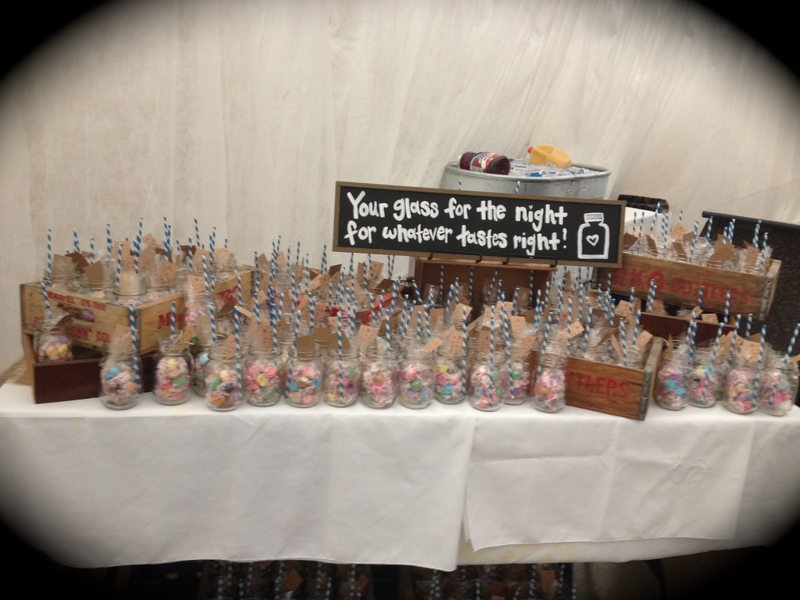 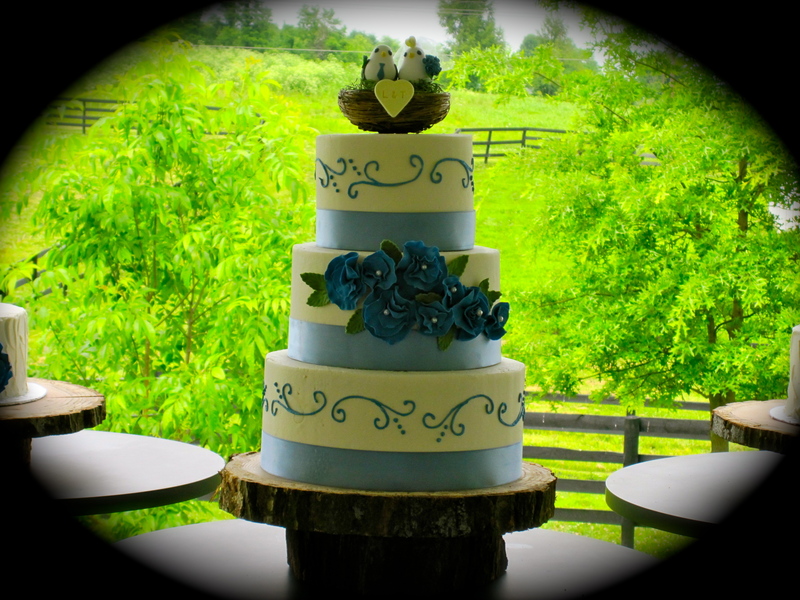 To schedule a complimentary wedding consultation and tasting, call The Twisted Sifter Cake Shoppe at (859) 238-9393. 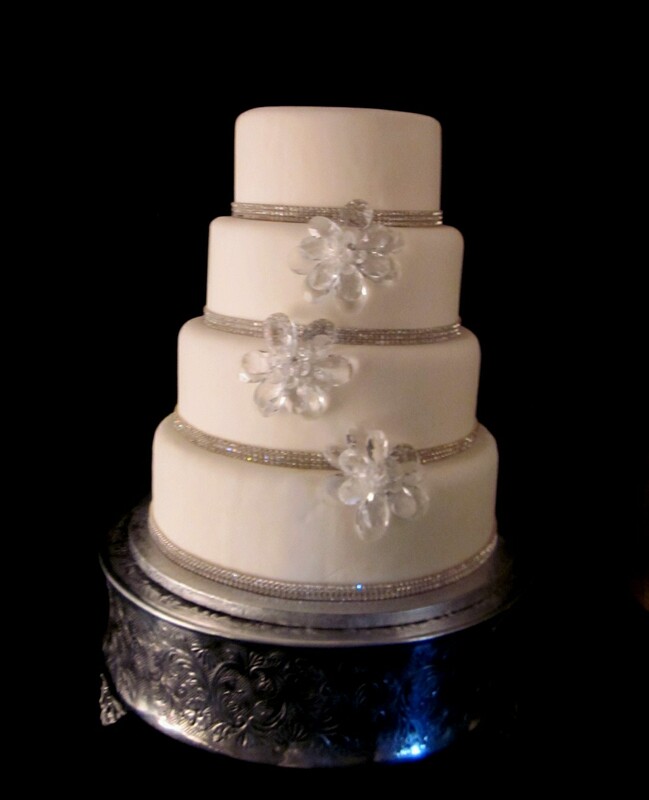 This elegant and simple cake is covered in white fondant and decorated with a 3 row band of swarovski crystals. 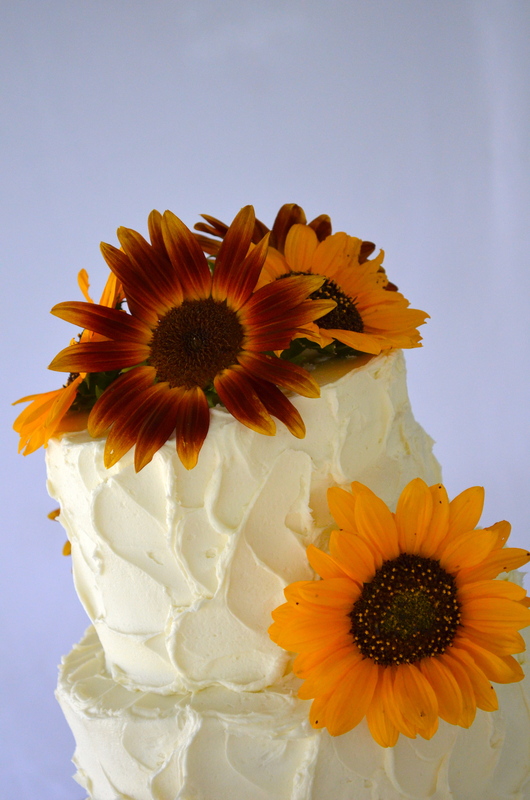 The flowers are crystal as well. 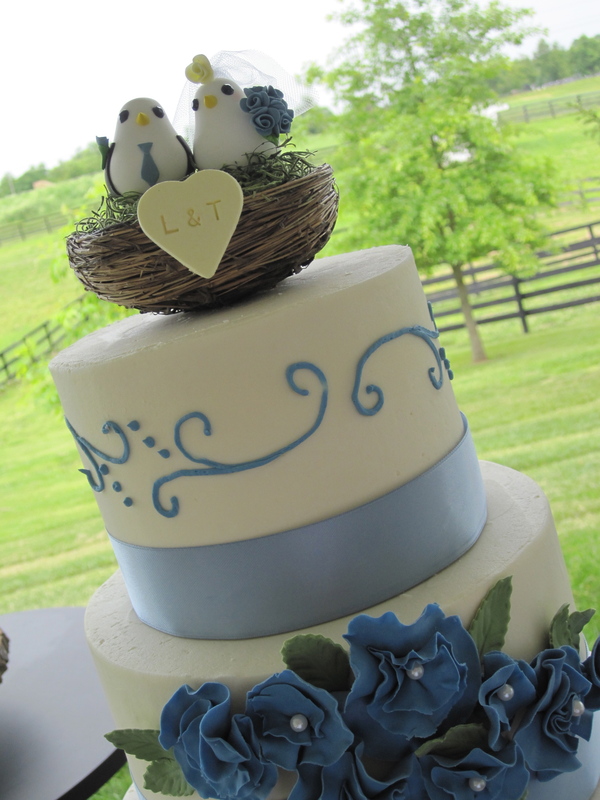 To schedule a complimentary consultation and tasting, call The Twisted Sifter Cake Shoppe at 859-238-9393.